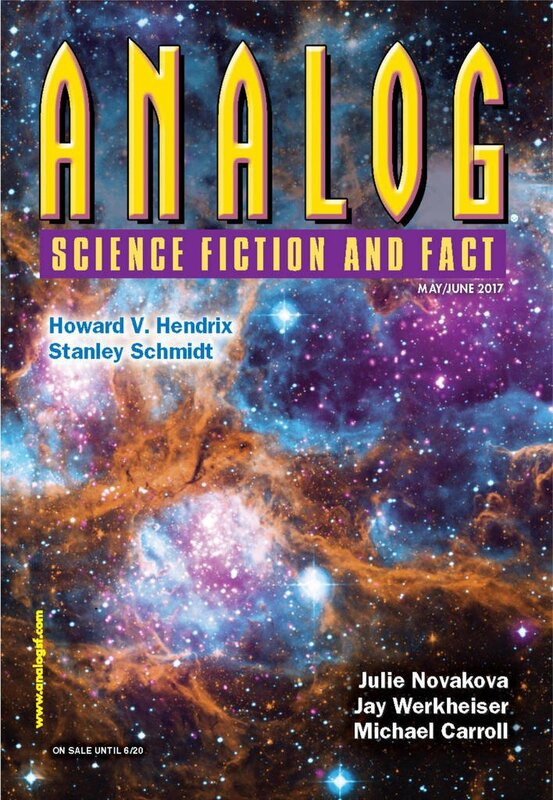 "The Banffs," by Lavie Tidhar [bio] (edited by Trevor Quachri), appeared in Analog Science Fiction and Fact issue 05-06|17, published on April 20, 2017 by Penny Publications. Pro: He learns the truth, and he even finishes his book. Con: The protagonist simply observes. Nothing he does influences the outcome, so there’s little or no real plot to speak of. Nor does it make any sense that these rich aliens decided to trust him.